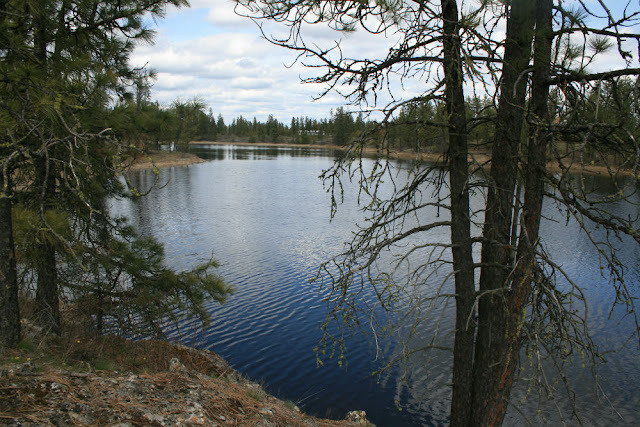 This lake is a good sized totally private lake with 10-20 foot depth, several ponds around it and is a great lake for small dinghies and sail yaks. Winds on this lake are fairly good (like all the lakes in the Medical lakes area) due to the desert winds. One of the land owners has a dock on the lake and he regularly water skis on it. Directions: Take the WA-902 W exit- EXIT 272- toward MEDICAL LAKE., Turn RIGHT onto WA-902 / W MEDICAL LAKE RD. Continue to follow WA-902., Turn LEFT onto N PRENTIS ST., Turn RIGHT onto E CAMPBELL ST., Turn LEFT onto S HALLETT ST., S HALLETT ST becomes S MEDICAL LAKE RD. The lake is on S. Green Gate Rd. but this road is a private road so ask a land owner before accessing. Maps: To view a map click on google.com/maps and type in Otter Lake, WA. then select #3 for the correct lake.